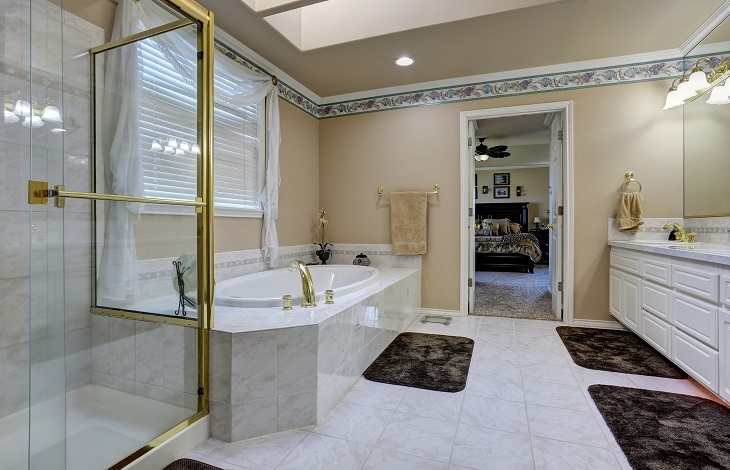 Bathrooms can look especially dated with time and breathing life into a new bathroom is necessary every so often. Here is some guidance to help you do so. A mirror makes an excellent addition for any room. They can help to increase one’s perception of a space and also make a room appear to be a bit larger than it is. They can also provide you with the illusion of light. When a mirror is placed on a wall that is opposite from a window, it enables sunlight to be able to shine onto a mirror and then gets reflected throughout a room. Modern mirrors may also incorporate all types of gadgets which include clocks, lighting, demister pads as well as a Bluetooth connection for your mobile phone so that you can play music while you are in the shower. 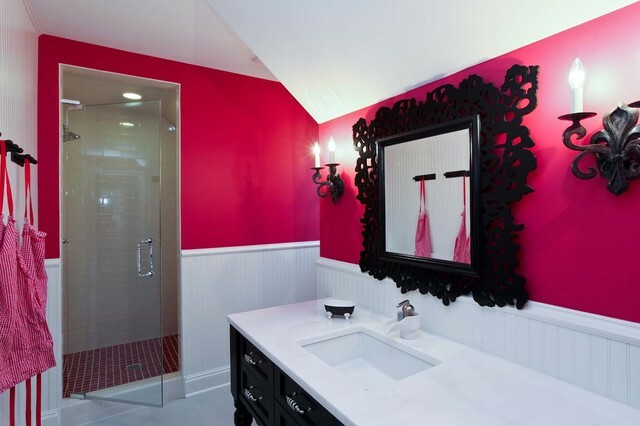 Everybody loves an airy and bright bathroom. Some people like hanging their towels on the radiator in the bathroom. The flat contract style of radiator that most homes are fitted with. 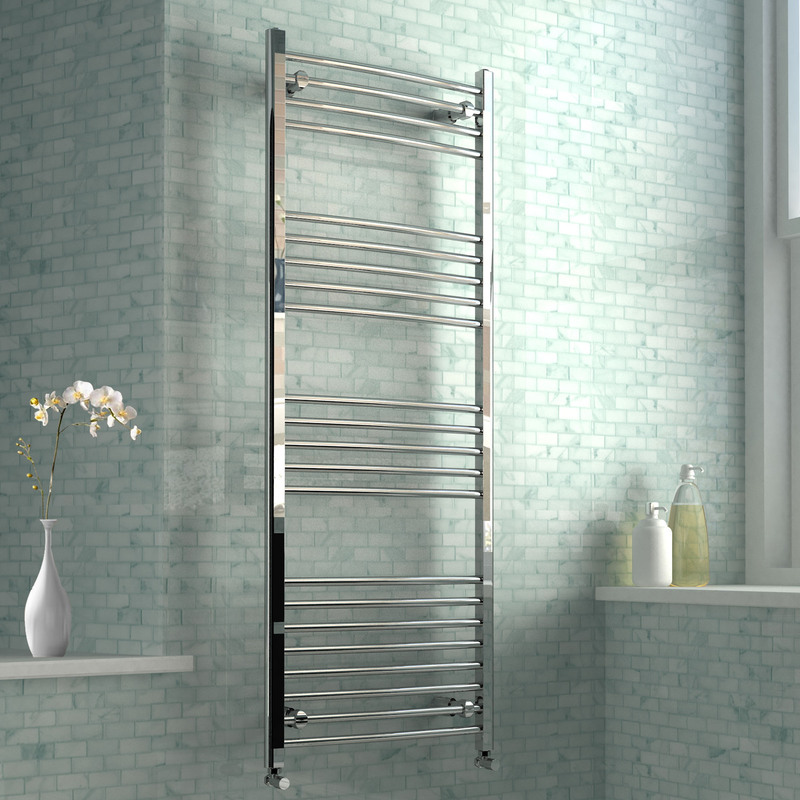 Installing a quality towel rail will provide you with extra heat along with added vertical storage for bath robes and towels. 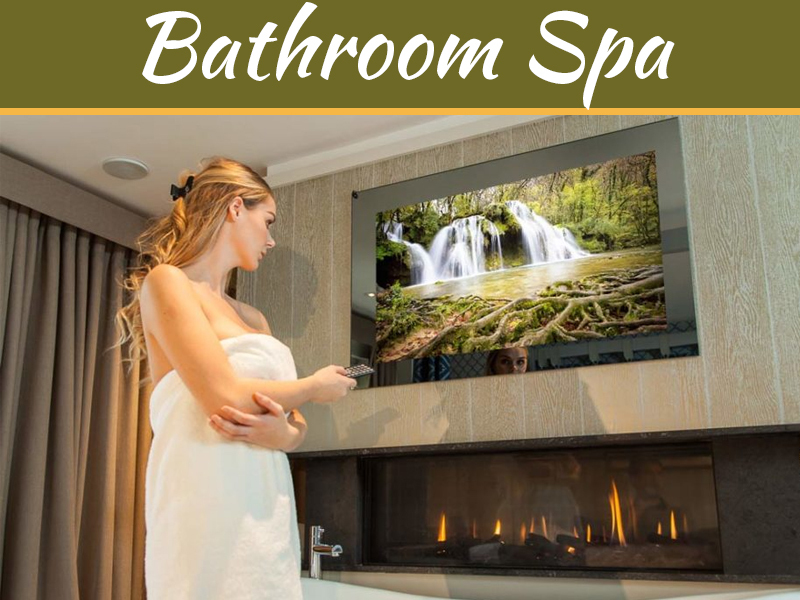 At times your bathroom with need to be updated due to maintenance reason instead of aesthetic ones. Tiles are one of the components that often needs to be replaced or changed. If they have been on the walls for several years, they could start leaking and allowing water through. If it is left unattended and ignored you could end up having a water damaged floor or wall. 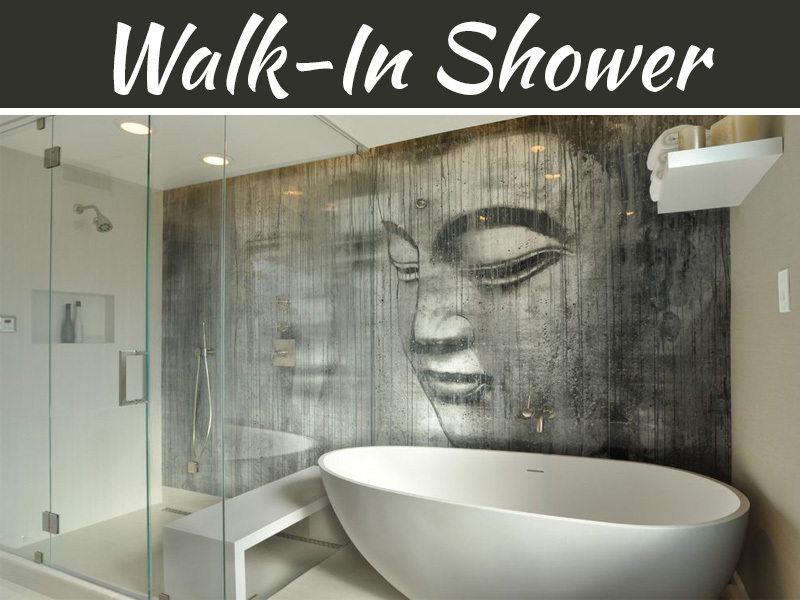 In order to eliminate that as a possible problem, think about having A Showerwall waterproof paneling system installed. It is an alternative to tiling that is attractive and easy to install. 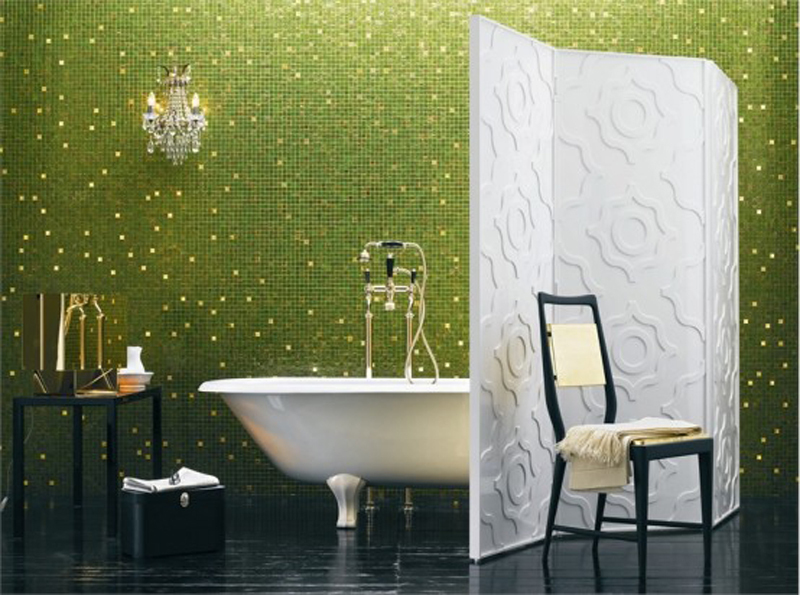 You can install Showerwall directly over old tiles or as a replacement. 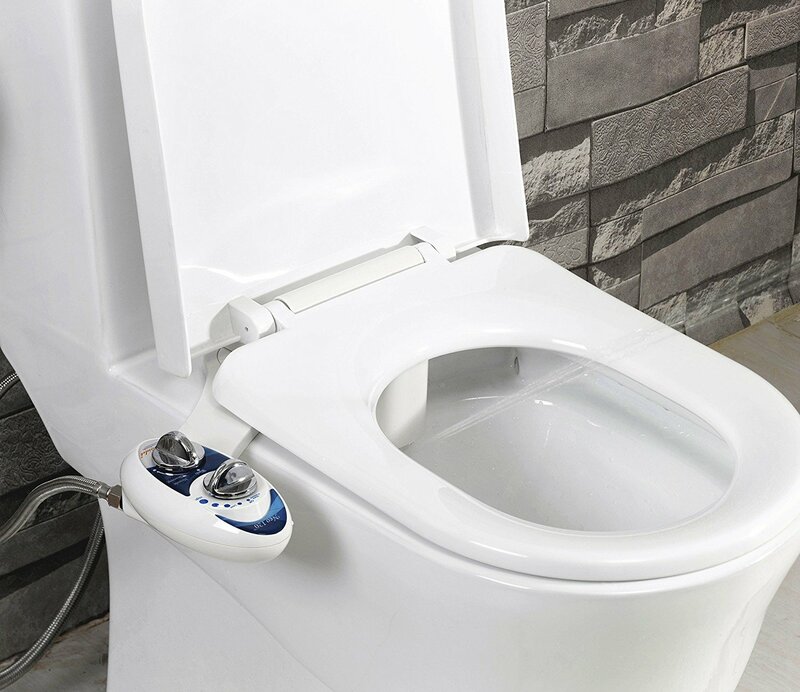 Are you tired of being woken up in the middle of the night from the sound of the toilet seat being slammed down? If so, then you think about getting a soft close toilet seat. They have sprung hinges that work to prevent them from making a lot of noise when they are closed. This clever idea until recently was available only on plastic seat but there are even wooden seats now that are introducing it. Unfortunately, that still won’t mean that men are motivated to always put the seat down! After they have been used repeatedly, wooden toilet seats as well as end and side bath panels can start looking shabby. The bath panel might start leaking water around the base, the hinges might become discolored, and the seat might get chipped. Replacing those is a fairly inexpensive upgrade. 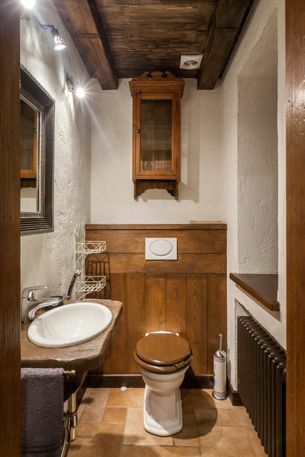 If you are thinking about selling your house maybe opt for a clean white toilet seat and panel or for a face lift that is more contemporary think about installing a wooden panel in a luxury Walnut finish and smart Avola Grey. This can help breath life into a new bathroom. If you have discolored grout then it drag your entire bathroom down with it. Especially inside of a shower space, an orange or pink film may form on the lines of grout that were once clean. Even after they are clean it can still return quickly. Re-grouting is one fast way of livening up a room. For an effective long-term solution, grind away the old grout by hand and then use a new compounds to refill it. 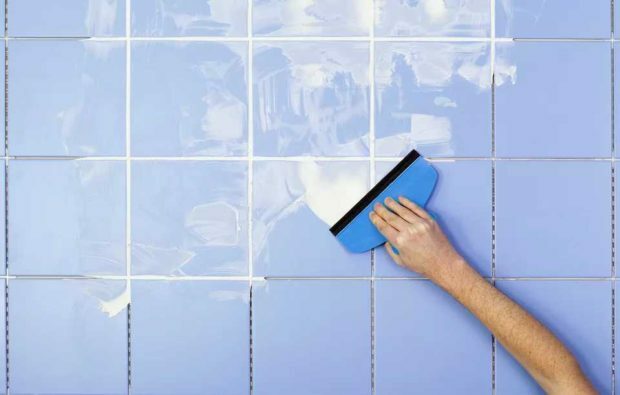 For a less expensive and faster job, just clean the ground and then paint over it using a grout pen that you can buy at a DIY store. One really good way to update a room is to give it quick coat of paint. That is especially true when it comes to a bathroom. Make sure all surfaces are free of mold and clean before painting. Consider using a lighter color to enhance the light that is being reflected around the room. 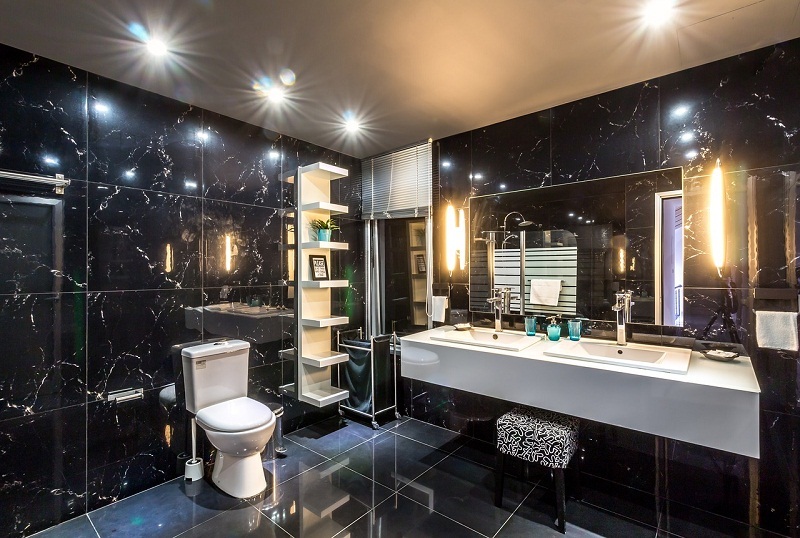 Using a dark color in a small space closes in the space. 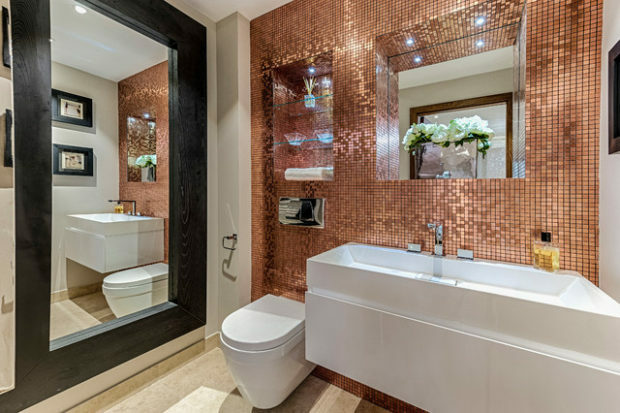 Adding new bathroom accessories and decorations really can help to improve your bathroom appearance. Keep things simple by simply adding bright contrasting towels. You can also replace robe hooks, towel rings, toilet holders, and also the selves with a new set in perhaps a traditional or modern style. Brass accessories with chrome covers will last a long time. Or you can purchase funky accessories instead, such as a patterned shower curtain. These days, there are many fun designs for toilet seats. How about bringing the outside in for another nice improvement? Add some plants to the room or use stone, natural wood, or even a brick finish in your bathroom. 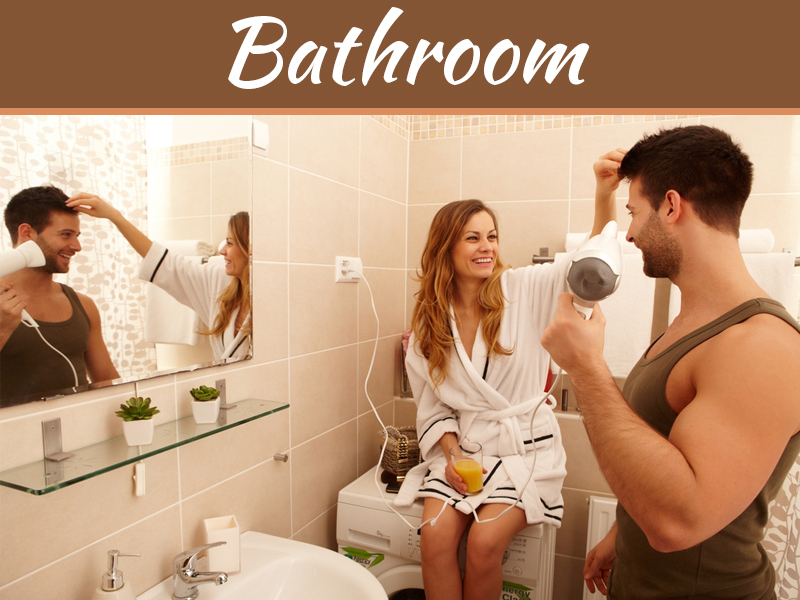 You don’t have to make any large purchases to get your bathroom spruced up. 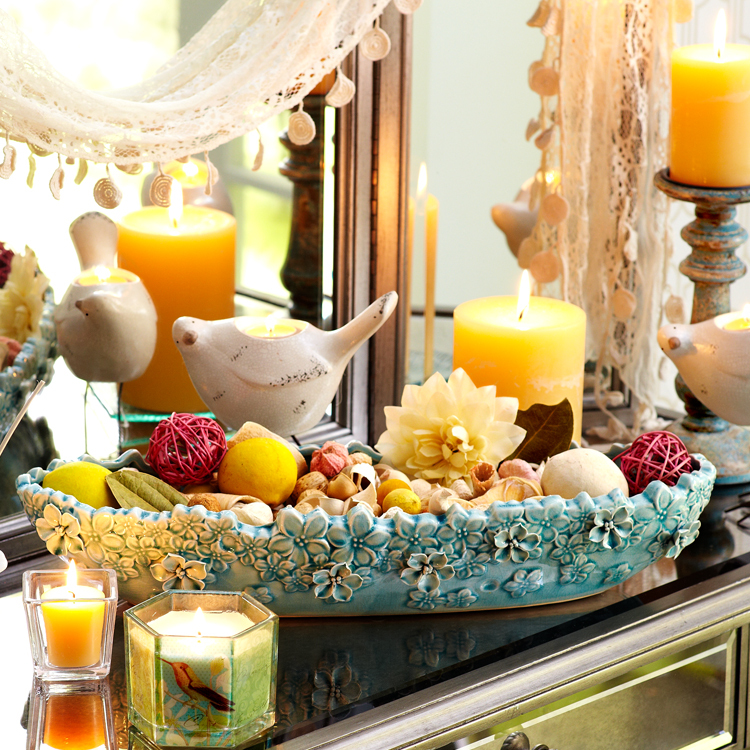 If you have lots of scented candles and tea lights, then they can be added to different surface. 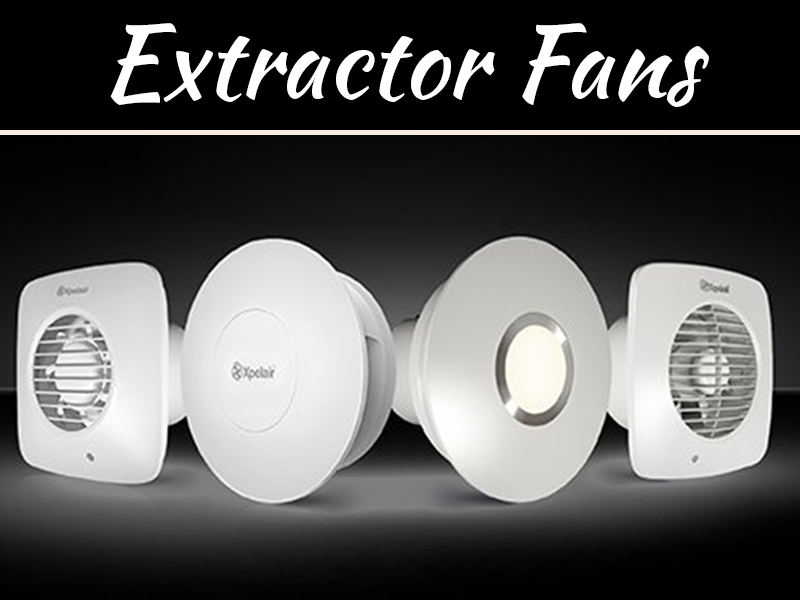 They will not only add to your decor, but help you relax following a stressful and hard day on the job. Many bathrooms are fairly small. Therefore, it shouldn’t be too expensive to renew the flooring. If you happen to have carpet, it’s time to get rid of it and install a more hygienic vinyl, laminate, or tile floor surface. Tiling might be expensive unless you are able to do it yourself and save a few dollars. It may be tricky trying to install a laminate and you are risk of developing leaks unless you make sure to purchase the quality stuff. Consider something like Malmo Vinyl Flooring for something is warm underfoot and attractive.